Crafty Corner with a Crafty Lady! In the first of a new blog series this off-season, Crafty Lady, AKA Arts & Crafts Jackie, will be posting monthly campy craft projects for you to do at home with the kids. Take it away, Crafty Lady! I hope your family is settling back into the routine of school, and after school activities. 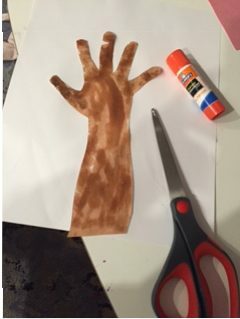 But if your child’s schedule isn’t jammed packed just yet, here is a fun, quick, and easy arts and crafts project you can do at home with just a few materials. Since September (used to) mean cooler temps and fall foliage (why is it 95 degrees in the city? ), I thought a cute Autumn Leaves tree craft could have you dreaming of crisp air in no time. 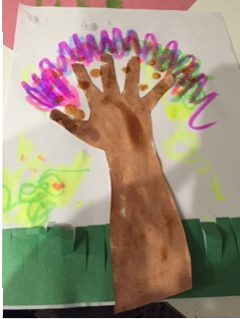 Trace your child’s hand and arm onto the brown construction paper to create the branches and trunk of the tree. 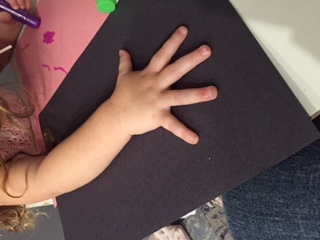 Cut and glue onto the white construction paper. 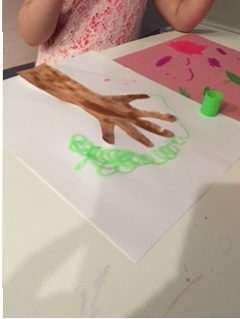 Have your child create the leaves of the tree in the space above the branches (fingers), using the water color paint. When mixed together ever so gently, water colors look beautiful, so the freedom to use lots of colors will create a nice effect. best craft of the month! 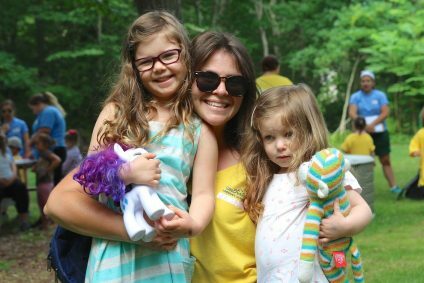 2016 was Jackie’s first year at Southampton Camp & Club, along with her two daughters, Ava (4, now 5) and Olivia (2, now 3). Crafty Lady, you’re just the best! Love you to bits! !